Recent studies have reported that the average single American has reported that they feel significantly lonelier during the Valentine’s Day season. What better way to cure your loneliness with an affectionate furry puppy this year? Here is a list of some cute dogs for sale in Florida that will certainly help you defeat your loneliness. Did you know that Petland carries all these breeds and so much more? Check out all of our available puppies right here! 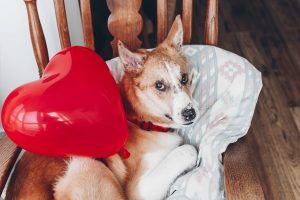 If this Valentine’s Day season is making you feel extra lonely, do not worry because these are just a few cute dogs for sale in Sarasota that are sure to warm your heart up. You can find these puppies at any of our Petland locations. They are some of the sweetest dogs that will stay absolutely faithful to you!